Partner's feedback about INKSYSTEM company. I started working with Inksystem in the middle of last year. First and foremost thing that I want to mention is the professionalism and loyalty of company’s managers to new business partners. I especially want to acknowledge the work of my coordinator Antony Belanovsky. Very pleased with marketable products, though a few upsets in the price of ink. All products are far superior to their analogs of competitors in quality and appearance. With a great pleasure I’m going to continue earning money with Inksystem. Since i become INKSYSTEM dealer for Ireland in April 2011 , i can say that CISS is very good quality product and I'm satisfied with results. Sales and technical support working very well, especially i would like to thank to Antony and Dmitry for all help and support, they both have provided for me. Products are good quality and i'm excited to be involved in this business. The price of the products could be slightly lower especially after delivery and customs cost. The website is to basic, and feedback from customers reveals that it not convincing enough to purchase the product. I believe we can work out something about that. I still didn't get any advertising materials. I'm looking forward to the grow of this business and getting involved in the big printing market. If you are still deciding if you want to become an Inksystem Partner, you should stop wasting time and join. Do not expect fireworks from day one. You should (like in any other new business) do a lot of marketing yourself. The internet sales will most definitely pick up as time goes by. I have joined Inksystem around 18 months ago, and results are really starting to show. You will receive excellent advise and communication from the team in Ukraine. I have never had any problems with the exchange of faulty stock. In general the quality of goods is very high with little comebacks. The only negative remark I can give is that the prices are not always competitive in our country as there is a lot of independent importers. 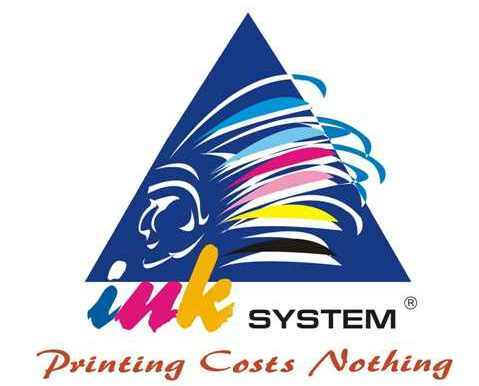 I would like to see Inksystem lowering the total order needed to be able to buy from their lowest price.